Offering a 100% in house guest blogging service. Our team of 4 copywriters are very experienced and understand the important of fresh, unique and compelling copy. We do not outsource to India or overseas and are Penguin/Panda free! Yes and no. In the old sense link building is dead because now you really have to work hard at making your links looks so organic they fell of the tree. Google has since released a statement that link building isn’t dead after all and links are still the best way to measure the popularity of a website for the time being. What is the best and safest way to build links? We use this analogy a lot but feel it is one of the best ways to explain link building post penguin 2.0 and 3.0. Think of your business in the real world. Got it? Good! 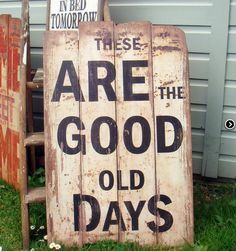 A long time ago when we still used typewriters and donned our Sunday best and went to places called “markets” to buy food in brown paper bags when we wanted to advertise our businesses we spoke to newspapers and used traditional signage. But now we put adverts online. Hang on a sec, advertising online? Yes you’re thinking now. What’s more organic than traditional advertising in the right places. Google wants contextual, let’s give them contextual. Trade publications relevant to your industry is a great place to start. This is the really hard bit but this is what we do well. Simply don’t do it. We have case studies where Google have responded to manual actions that a contextual side wide link was the cause of the problem. If in doubt just avoid them to be safe. Reverse engineering competitor links is one way but you need to make sure they are first rate themselves. Isn’t Guest Blogging Dead too? Again in the old sense yes if you’re posting guff that has no relevance and doesn’t offer the user very much then yes it’s dead. But writing quality user driven content to create brand awareness, product information, reviews, images, video blogs, to your intended market sector is great. If you’re whacking up links on high Domain Authority sites in huge volumes does that really look natural to Google? Probably not. We’ve all done it, it worked for years but we have to overcome and adapt as goes the old saying. Forget being ninjas, we’ve ranked up to SAS. Our approach is to follow the rule book by the letter, it’s the future of SEO as far as we are concerned. Dodging bullets, nah! It’s not how we roll.